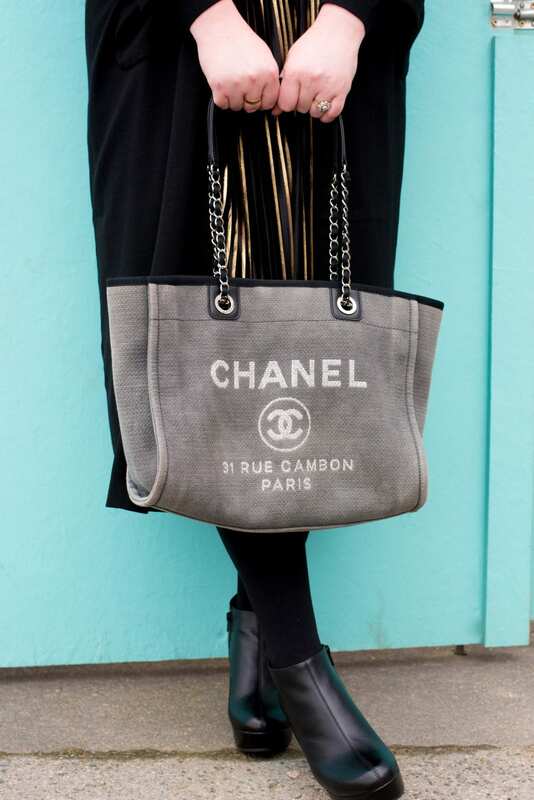 My Thoughts On The Chanel Deauville Tote Bag... - Fashion For Lunch. 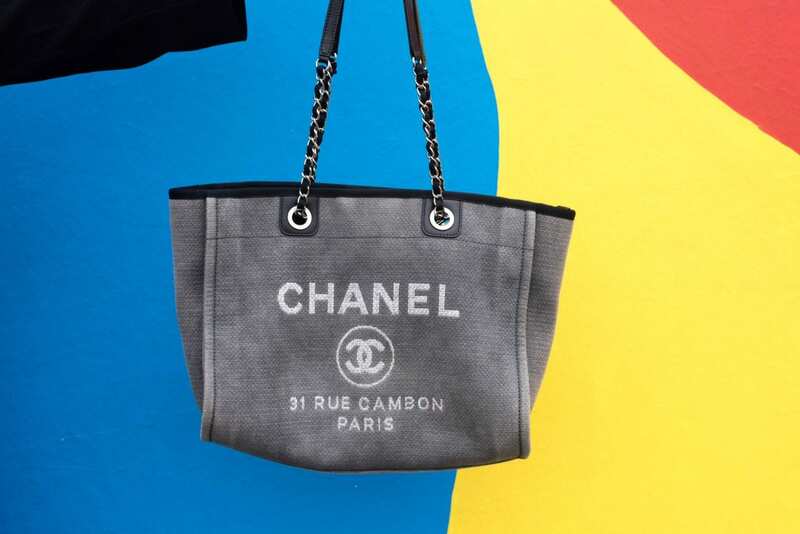 At the beginning of the year, I wrote a blog post all about how I never bought the Chanel GST handbag and now I regret it. Three months into the year, I still regret it. Even my boyfriend told me the other day he wishes he had bought it for me, he referred to it as ‘The one that got away’. (Isn’t he a wise man? I knew I said ‘yes’ to for a reason!) I’m still on the hunt for a Chanel GST, but they aren’t easy to come by and to be honest, there are very few places online I trust to buy pre-owned and vintage Chanel, so I’m waiting until one magically appears on Vintage Heirloom, rather than taking a gamble elsewhere. I spend a lot of my week throwing my bits and bobs into a handbag and heading into London on a train. Back in my East London days, I could leave the house with little more than a clutch bag, but now I live by the seaside, I carry a little more with me each day. I always have a charger, iPad and headphones with me, as well as my regular bits and bobs like phone, keys, purse and make up. Even without trying my bag quickly gets full and heavy, which is why a good tote bag has become my staple handbag for meeting days. 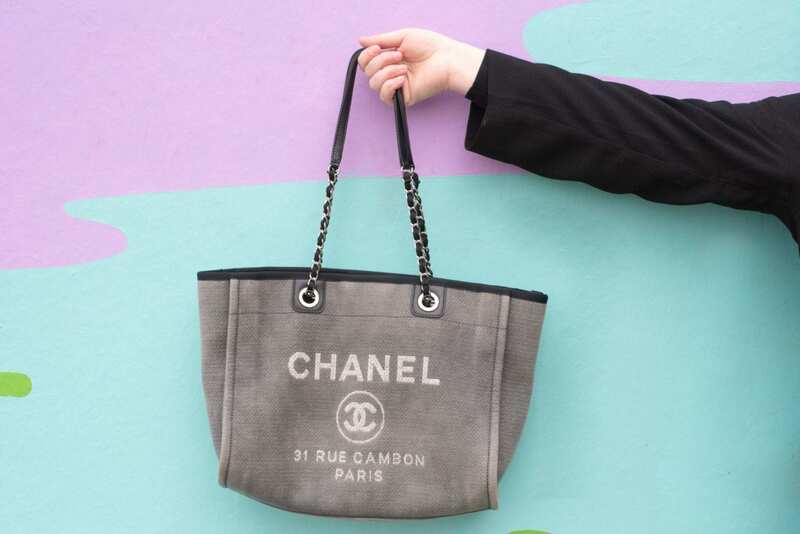 I know you are probably all thinking I don’t need another handbag, but quite frankly, when I spotted this Chanel Deauville large tote bag, I couldn’t resist. It is everything I wanted; stylish, practical and roomy! FYI, Deauville is a fancy seaside resort in the south of France, the lady herself used to holiday there. Whilst it was never a bag I swooned over in-store and dreamed of owning, it’s probably the most practical Chanel handbag I own! I swear to god, since I got this bag my other bags have barely had a look in! It’s so easy to carry, it sits nicely in my hand or over my shoulder, it has some nice little pockets for valuables and it even has a little popper to keep it secure at the top. I can load it up with goodies without worrying a strap is going to break on me and even when it’s full, it never feels too heavy or uncomfortable. 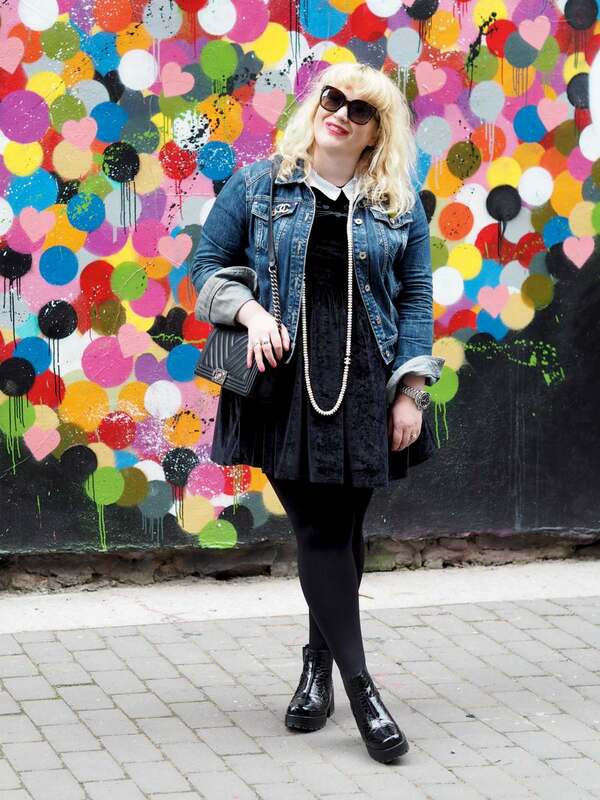 It’s a dark grey colour so it literally goes with every outfit and wearable Summer and Winter. 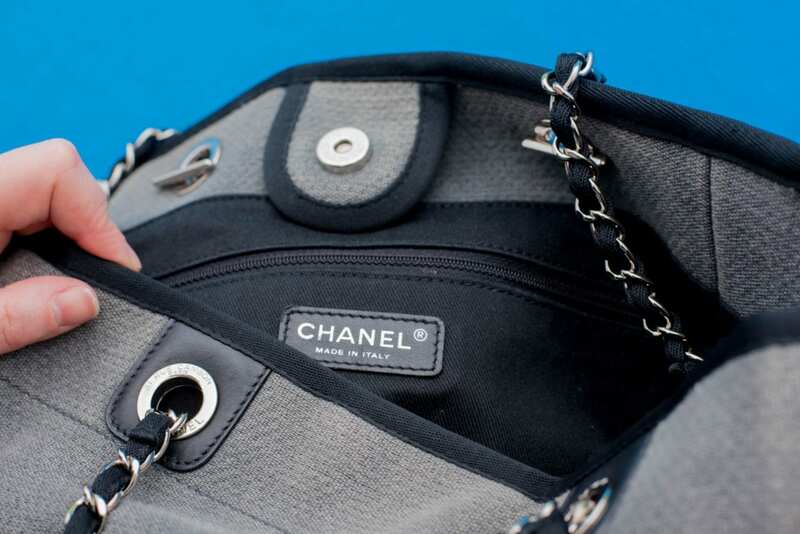 I bought my Chanel Deauville large tote as a pre-loved handbag, it dates back to the 2012 collection, but everyone who has seen it has assumed it’s brand new as the condition I got it is was faultless. In fact, it’s probably seen more wear and tear in the last month than it did for the four years before. 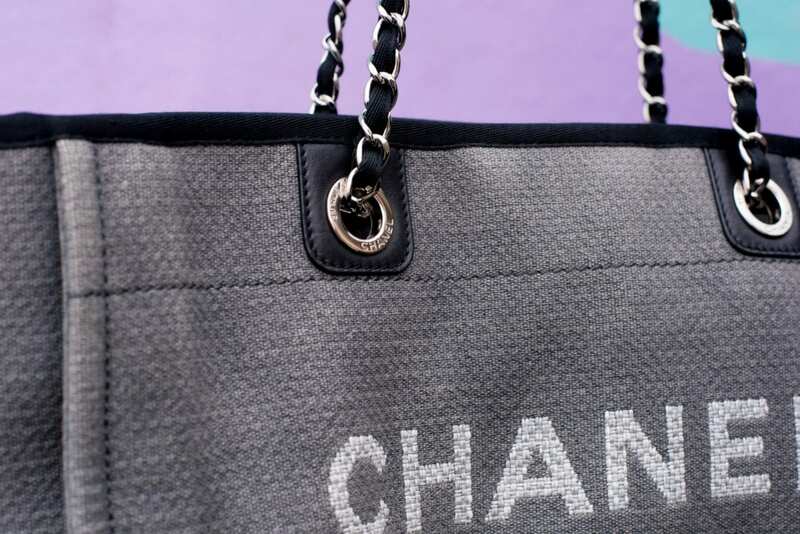 The design of the 2012 Chanel Deauville Tote Bag is slightly different to the one currently in-stores, it has had a slight design update with a top handle so the chain strap hangs down, as well as the lettering. If you stalk the Chanel website, you will notice, but it’s only if you know, you know! I got my bag from Vintage Heirloom, it has a life-time authenticity guarantee and I saved a hefty chunk buying it this way rather than brand new (current retail price is £2,340 and I paid about £1,500 for mine). 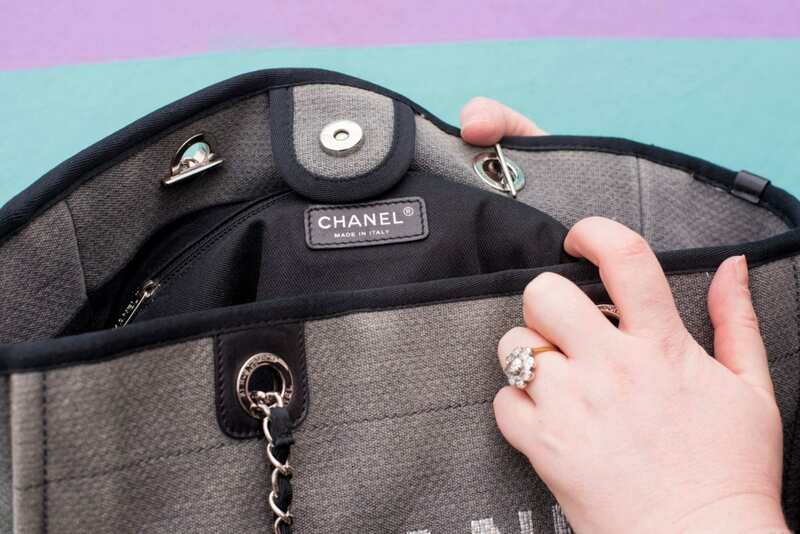 Anyway, Imma let ya finish here, but I just thought I would share the story of my new handbag with you all as well as a few thoughts on how the Deauville tote, as it’s such an under-rated Chanel bag and one that I don’t think people give enough credit to how good it is! PS. I know bloggers get a lot of sh*t for having a lot of designer handbags, but I don’t really know what to say about this, except that I’ve always been a bit of a shopaholic and instead of doing Primark hauls every week, I save my pennies and buy something I truly love once in a while. So apologies for anyone who is offended by my spending, but that’s just me and… YOLO! 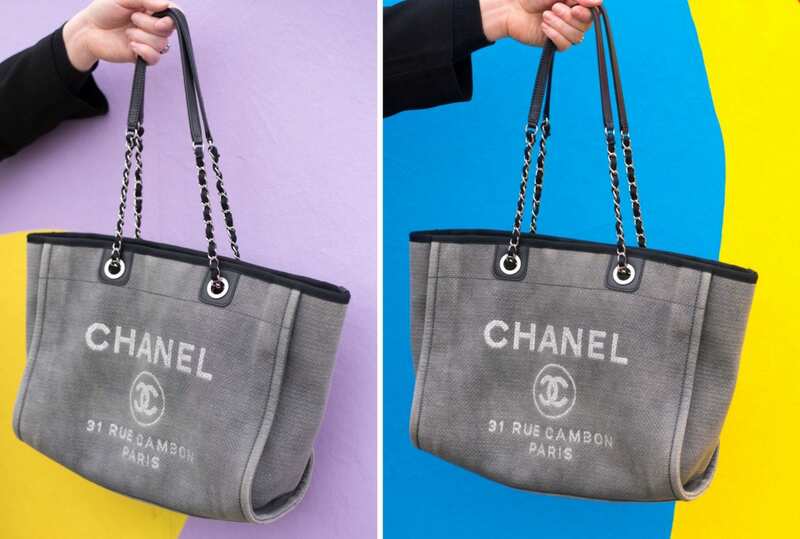 What do you think of the Chanel Deauville Tote bag? All Images taken by Samantha Taylor who is the best photographer in Margate. I know right!? But you know how it is, so I thought I would nip it in the bud as I never normally mention price! This is a classic bag and well worth the pennies and the investment. Enjoy it! Thank you so much susie! So glad you like it!!! It’s so useful! I’m so happy I splurged!!! Thank you for stopping by! It’s a classic and I say you’ll still love it when you’re 80!! Thank you so much, I’m so glad you liked it! i don’t normally add a disclaimer, but I thought it seemed right as i mentioned how much it cost… it’s a tricky one right? And I’m so happy with my bag, I have used it so much already!! Every time you have posted this on Instagram I fall a little more in love with it! Hi! I have the same tote but in beige color. How do you protect your bag from stains, water, etc? Do you apply anything on it?